What would Christmas be without our favorite furry family members? Cats definitely make the season bright, so share the kitty Yuletide love. 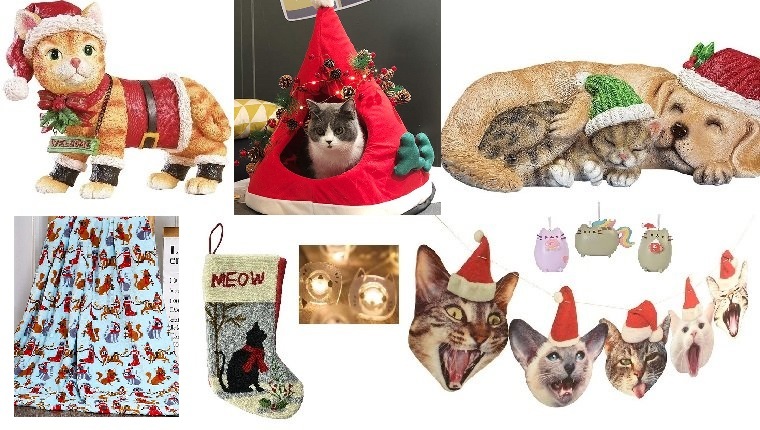 Make sure all your neighbors and guests know that you’re ready to celebrate the meow-liday season with the 12 cat decorations of Christmas. All your Christmas guests deserve a friendly meow when they come to the door. 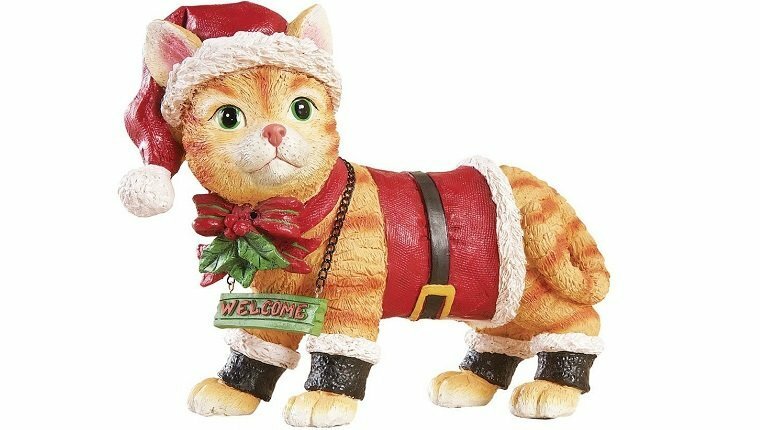 This cat decoration sits outside and greets anyone who walks by. You can buy it on Amazon here! 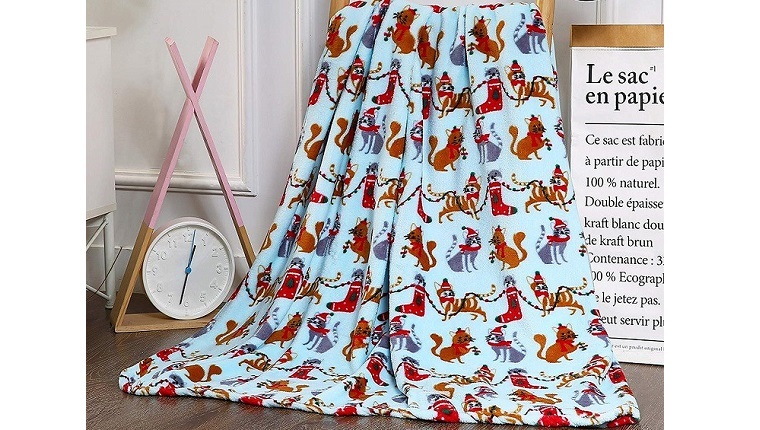 Whether you’re feeling a winter chill or just want a nice decoration for your couch or bed, this adorable Christmas cats throw blanket has you covered. You can buy it on Amazon here! 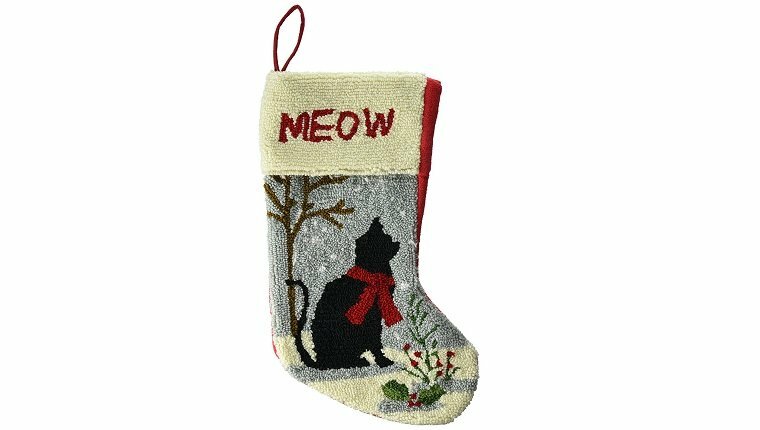 Santa needs a place to put all the gifts for good kitties, and this beautiful, handmade hooked Christmas stocking can hold plenty of catnip. You can buy it on Amazon here! 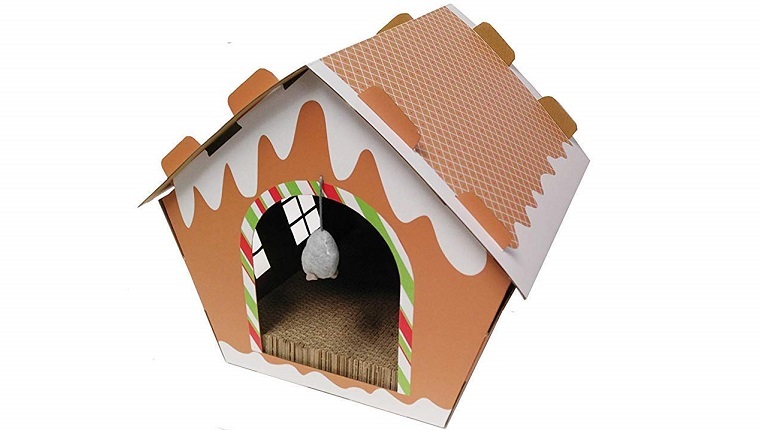 Kitty needs a place to use those Santa claws, and this gingerbread house will keep them busy all holiday season. It requires some assembly, but your cat will love it. You can buy it on Amazon here! 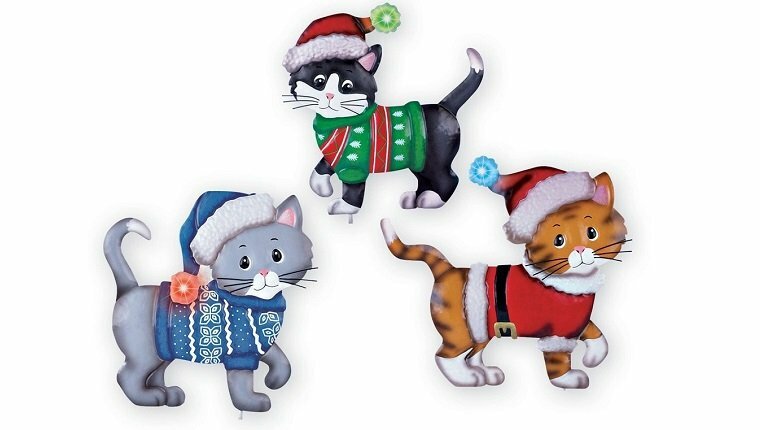 Make sure Santa can find his way to the crazy cat lady’s house with these outdoor Christmas lights. You can stake these three cute, hand-painted cats in the yard, and the poms on their hats light up. You can buy them on Amazon here! 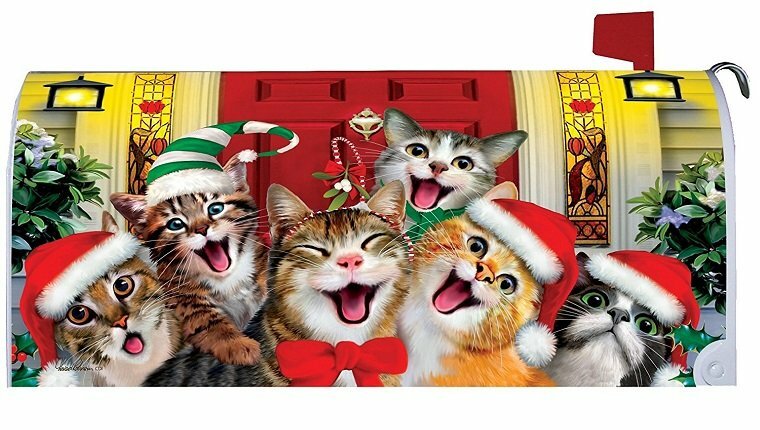 When the mailman delivers your Christmas cards, spread the cat Christmas cheer with this mailbox cover that attaches easily with magnetic strips. You can buy it on Amazon here! 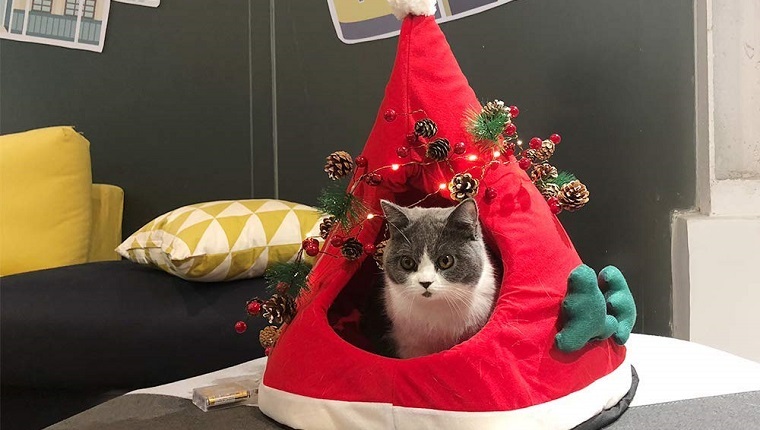 This Santa hat cat bed will make your home more festive and provide your cat with a nice place to sleep while Santa leaves his presents on Christmas Eve. You can buy it on Amazon here! You can never have too many caroling cat faces during Christmas. 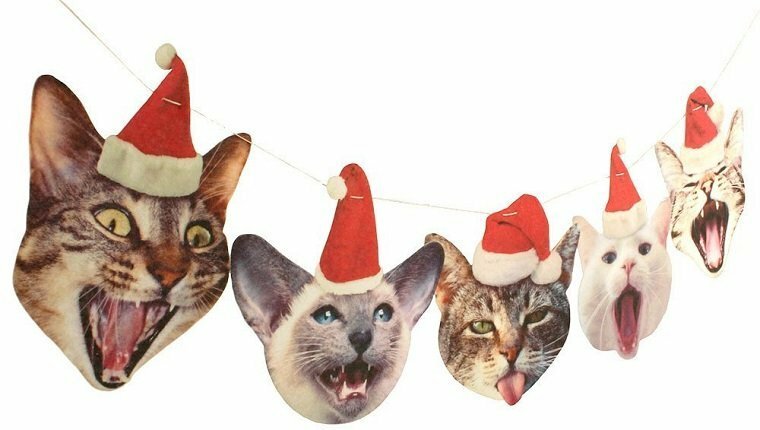 This funny string of Christmas cat garland will put a smile on your guests’ faces. You can buy it on Amazon here! 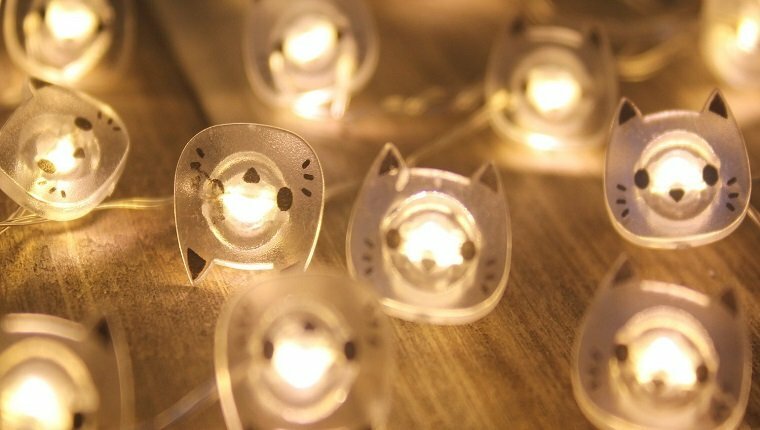 Cats make the season bright, and these cat lights will literally help do just that. The sweet kitty faces can go on the tree or around the house and include a timer for automatic shut off. You can buy them on Amazon here! 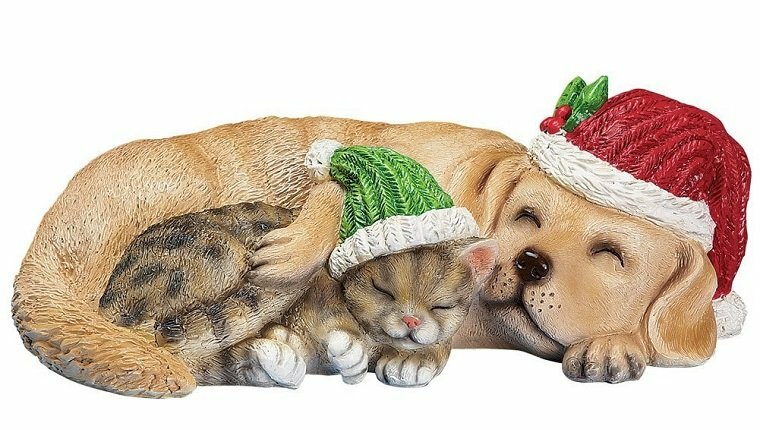 Everyone can get along on Christmas, and this cat and dog pair are happy to bark and meow in harmony whenever someone walks by this holiday season. You can buy it on Amazon here! 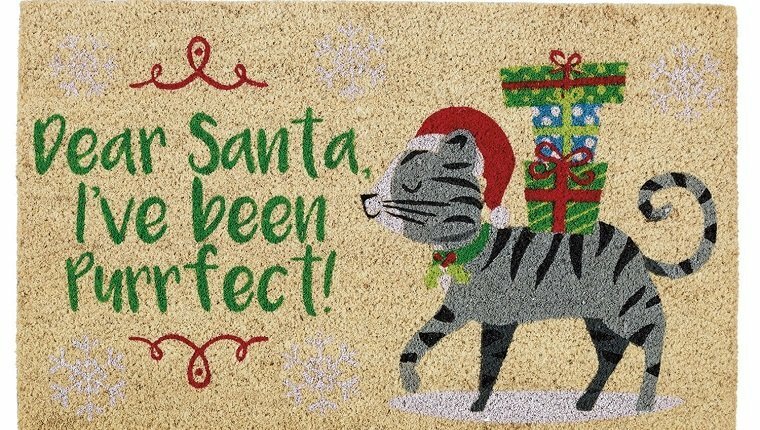 Santa needs to know who’s been a good kitty this year, and this doormat is sure to let him know that your fur baby has been “purrfect,” as usual. You can buy it on Amazon here! 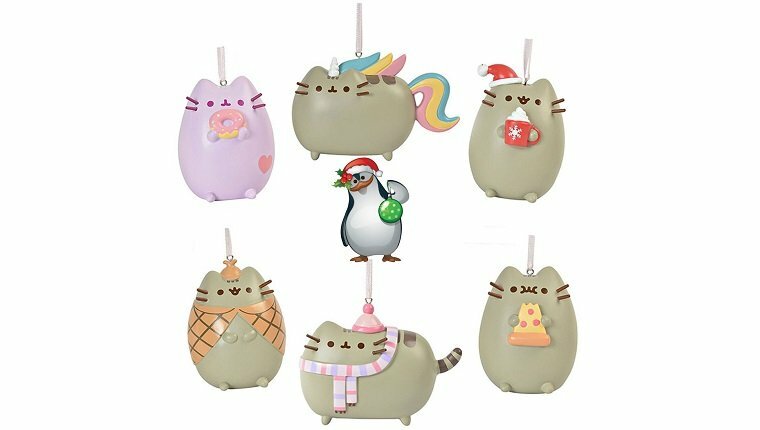 The internet loves Pusheen, and now you can celebrate all the cuteness IRL with this set of 6 ornaments that come with a fun penguin sticker. You can buy it on Amazon here! What other cat Christmas decorations are you putting up this year? Let us know in the comments below!